Come and shoot or just watch the fun!!! 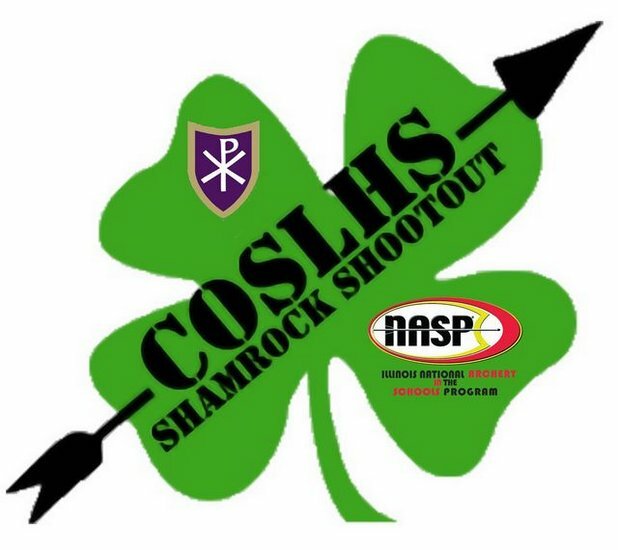 COS will be hosting our Second Annual Shamrock Shootout NASP Tournament and Fun Flights on March 16, 2019 from 8 am - 5 pm. Not only is this a fun tournament for NASP School individuals and teams to participate in, we also will be having fun flights in which coaches, parents and community youth and adults can compete. This as a fundraiser to grow NASP in the Southern IL area. Wearing green is encouraged and a good time is guaranteed. http://bit.ly/coslhs-Shamrock Registration is $10.00 per archer. Medals will be awarded to the top archers. We will provide all of the equipment you need to shoot in this tournament. If you have your own NASP approved Original Genesis Bow or Easton 1820 arrows, you may use it at them tournament. No other bows or arrows may be used to keep the competition on equal footing. Registration is $10.00 per archer. Medals awarded for top three male and female in Elementary, Middle, and High School categories. We also will be having "Fun Flight" awards for community members, coaches, and parents that would like to shoot NASP style. Medals will be awarded to top 3 male and female youth (17 and under) and top male and female adults (18 and above). Full concessions will be available during the tournament.